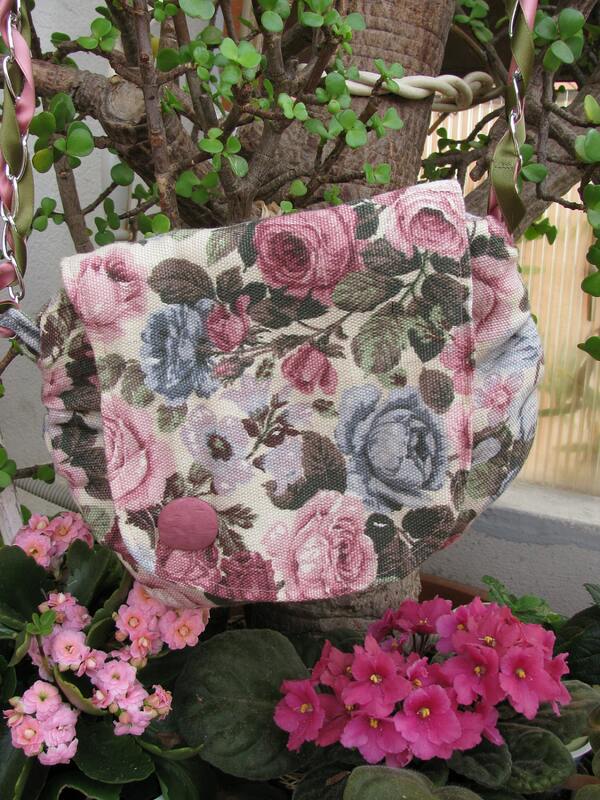 Here's the new version of the much acclaimed FLORA, the flower-inspired shoulder bag. Entirely made of tough rose-printed cotton fabric on the outside and coated on the inside with a beige-coloured lining, this pretty shoulder bag is suitable both for your daily routine and for special occasions. Coordinated to the print, there are a particular old rose decorative plastic button on the front and a functional zipper on the inside. Innovation point of the new Flora is the metal chain shoulder strap embellished with two interwoven old rose and olive green satin ribbons, a chic and functional touch to the previous version. Let yourself be inspired by Spring's colors and patterns, wear the newFLORA!